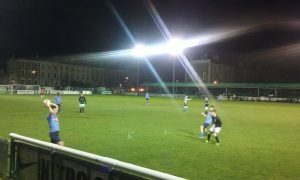 UCD came into the game knowing they hadn't beaten Cork City U19s in the previous two seasons but still had the memory of Students' keeper ​Conor Kearns equalised against City at Bishopstown. Yoyo Mahdy got The Students off to the perfect start with a goal after 11 minutes, The Students kept the pressure on in the second half with goals from Kevin Coffey (50', 71') and Sean McDonald (69'). 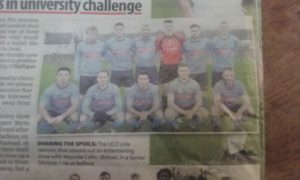 The win puts UCD on top of the table and but both teams have to do it all again on Wed 26th July at the UCD Bowl in the Enda McGuill Cup.